As forex trading goes mainstream attracting forex trade enthusiasts, brokers get to understand that it is not enough to have a solid reputation of trust and reliability. They need to incentivize traders into registering with them, and most have found huge success introducing bonuses; both for no-deposit welcome bonus and initial or recurrent deposit bonuses. In this post, we review the best forex brokers with the highest deposit bonuses, and also explain what it takes to unlock these benefits. These are often expressed in percentages of the deposit amount. Our approach to the high bonuses subject is holistic and extends way beyond the bonus to touch on aspects of the forex broker reputation like the ease of doing business with them, and their reliability. Xtream Forex rewards its new clients with 100% initial deposit bonus. The bonus is only available for new Micro and Standard accounts funded with an initial deposit of not less than $100, with the broker capping the maximum allowable bonus per account at $20,000. The amount is credited to the trader’s account and is tradeable but cannot be withdrawn or used to cover for drawdowns. Profits derived from trading the bonus can, however, be withdrawn or plowed back into the account unconditionally. RoboFX runs a deposit program that gives their traders a chance to receive the ‘Classic Bonus’ of up to 115% on their initial and subsequent deposits. This is available to all traders maintaining verified Fix and Pro accounts on any MetaTrader account. The scheme runs a graduated scale that’s dependent on the deposited amount with $300 or less attracting 50% bonus, amounts below $500 receiving 100% and those above $500 receiving the full 115% deposit bonus. The maximum allowable bonus is however capped at $50,000. The amount is only withdrawable after the trader fulfills the set of conditions set by the broker, including making trading volume equal to the bonus sum. JustForex credits its trader’s accounts with 100% of the initial deposit amount with a maximum bonus of $10,000 for a single account and $20,000 for all accounts held by a single client. To qualify for the bonus, your first deposit must not be less than $100, plus it’s not automatic and you, therefore, have to fill the deposit bonus application form. Additionally, it is only available for clients operating the Classic and NDD trading accounts. The clients can withdraw profits derived from the bonus trade, but the bonus remains a credit advance until a set of rules are fulfilled. This includes fulfilling the trade volume requirements within 90 days of accepting the bonus. 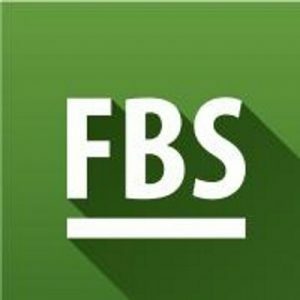 FBS awards its clients with 100% deposit bonus for their initial deposits, regardless of the amount or payment processing system to a tune of $10,000. The bonus is available to clients operating all Zero Spread, Micro, cent, and standard accounts upon request. Its withdrawal is however subject to fulfilling trade volume conditions with the broker maintaining an online calculator that advises on the number of trading lots required for your deposit. You are not limited to the strategies you use in trading the bonus, including the use of an expert adviser with leverage up to 1:500. More importantly, FBS doesn’t have a timed deadline within which the required trade volume lots for the bonus must be traded before its conversion from credit to a withdrawable cash balance. 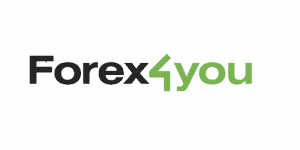 Forex4You offers up to 100% bonus of the initial and subsequent deposit amounts. The client is however at liberty to choose the level of bonus that appeals most to them, keeping in mind that the higher the bonus percentage, the larger the trading turnover they must record in their accounts. While Forex4You offers unlimited bonus amounts, some limitations to the trading bonus include the fact that a client can only receive a maximum of 5 bonuses at a time. Bonus crediting is not an automated process and the trader has to requisition it when making a deposit. Plus, it will not be availed to PAMM investor and Pro STP account holders. 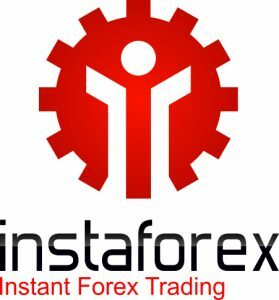 InstaForex offers one of the widest ranges of deposit bonuses to its clients, depending on the trading accounts opened with the broker. The most popular in the 100% marching bonus to initial deposit made to any trading account. The broker also gives out a 30% bonus for all other subsequent deposits with InstaForex club accounts receiving a 40% bonus. There is also the 50% Chancy Deposit bonus that is given once a month for deposits exceeding $3000. They also have a promotional 55% deposit bonus program for all accounts opened after June 2013. Withdrawing profits derived from the deposits with broker’s bonus is allowed but the credited deposits amounts will only be moved from the credit to the balances section once the trader hits the required trade volume limit. 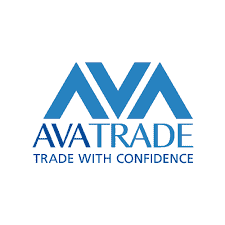 AvaTrader is also keen on incentivizing individuals who wish to open trading accounts with them by offering deposit bonuses of up to $16,000. Unlike most other forex brokers who express their deposit bonus as a percentage of the deposit amount, AvaTrader maintains a graduated scale for rewarding its new traders. Individuals interested in their platform can use the online calculator on the AvaTrader Website to determine the bonus attributable to their initial deposit. The bonus is however only available to new trading accounts that deposit a minimum 1000 units of their preferred base currency (USD/GBP/EUR). To move the credited amounts to the withdrawable balance side, you must execute a trading volume 10,000 times your deposit within six months. 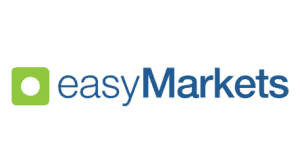 EasyMarkets rewards anybody who opens a trading account with them with up to 50% bonus on their first deposit amount. This is only applicable to new accounts that receive the upwards of $100 as initial deposit. The graduated bonus scaling technique rewards 30% bonus for deposits below $200 and 50% for initial deposits between $200 and $1000 while the rest, above $1000, get a 40% burp as a bonus. The broker has set the maximum allowable bonus per account at $2000. 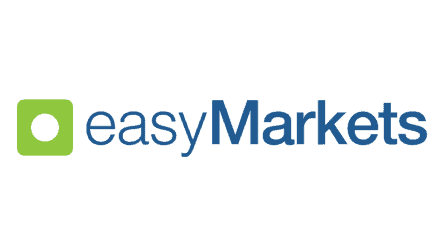 Unlike most forex industry insiders that avail the bonus for withdrawal after a target volume of trade, EasyMarket’s bonus is not withdrawable. There is however no restriction to profits earned by trading the bonus amount. HotForex is currently offering a 100% initial deposit bonus for all trading accounts opened after November 2013. Other qualifications for the bonus include a $100 minimum deposit into their Micro, Premium, FIX and Currenex trading accounts. The maximum allowable bonus per account has a $30,000 limit with the maximum bonus amount allowed per trader maintained at $100,000. Profits derived from trading the deposit amounts are not subject to any restrictions but traders have to fulfill a set of requirements including maintaining the original deposit amount and hitting a trading volume target. The upside to this is there is no time limit to the trading volume target. 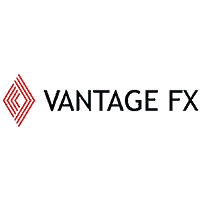 Vantage FX runs two parallel deposit bonus programs. The first involves giving their trading account holders 50% of their initial deposits, and up to $250, back by crediting the amount into the clients trading account. However, the offer is only availed to Vantage FX Islamic and Standard account holders, both new and existing clients. The second is the cash back deposit bonus program that rewards traders with $100 credit trading amount for every $500 deposit made. The cash back program is only available to traders who have deposited over $400 in the past. The $100 credit trading bonus is therefore given for every successive deposit exceeding $500 and is only available to existing clients operating the Standard STP, Islamic, and ECN trading accounts. OctaFX offers a deposit bonus of up to 50% on all deposits above $50 regardless of the currency base or preferred payment system. This is available to all the trading accounts hosted by the broker, including ECN accounts. The trader is however at liberty to decide the level of bonus they prefer (below 50%) when making their deposit as this plays a key role in affecting the trading volume required to activate the credited amounts and transferring them to the withdrawable balance section. 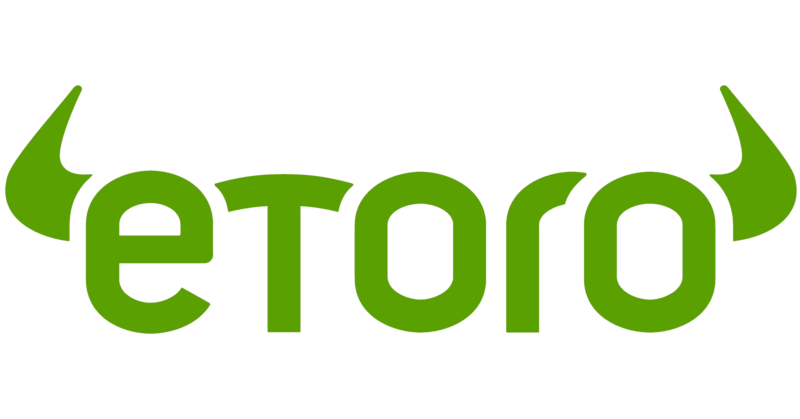 Additionally, the bonus can be traded on different platforms, including MetaTrader accounts integrated with an expert adviser. Profits can be withdrawn without restrictions, but withdrawing the deposit amounts below the level of the credited amounts cancels out the bonus. 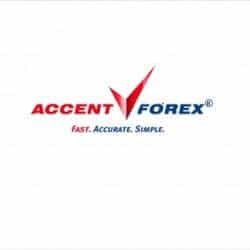 Accent Forex awards their traders with 40% bonus for all their deposits. This is however only available to clients operating the Micro, STP, Mini and PROfit trading accounts, and it will only be advanced to traders with deposits exceeding $100 upon request. The broker has also set a maximum bonus limit at $4000. The traders can withdraw profits from the account without restrictions, but must maintain their deposit amounts at par with the bonus amount, failure to which may lead to its cancellation. The client has three months to fulfill the trade volume requirement needed to avail the credit amount for withdrawals, lest it expires. 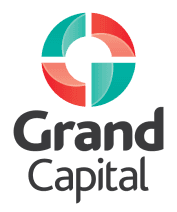 Grand Capital Forex brokers run the ‘Any Deposit Bonus 40%’ program. This awards their trading account clients with 40% bonus for any deposit they make, regardless of the payment processing system, amount deposited or preferred base currency, to their Standard and Swap Free Trading account holders. The broker’s bonus is relatively unique in that the profits derived from its trade can be withdrawn or plowed back unconditionally. More importantly, the bonus amount by the trader can be used to cover drawdowns and is also convertible from credit to withdrawable balance after hitting the trade volume target. Additionally, the bonus has an expiry period of six months but can be renewed by funding the account with a 10% deposit of the original amount. 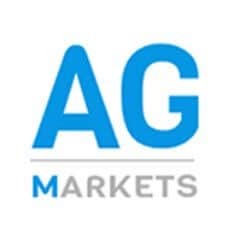 AG Markets runs one of the most comprehensive deposit bonus schemes where their reward is expressed as a percentage of the initial deposit amounts for the smallholder accounts. Initial deposits between $250 and $499 are considered ‘Basic accounts’ and awarded a 10% bonus. ‘Standard account bonus’ of 20% is given to deposits ranging from $500 to $1,499 while ‘Trading accounts bonus’ of 30% is given to accounts whose initial deposit ranges from $1,500 to $4,999. 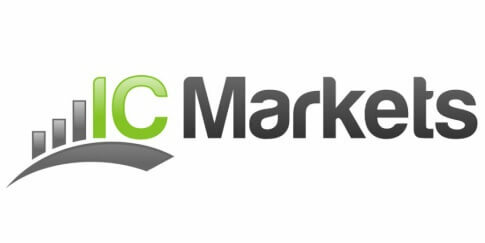 Traders wishing to deposit $5000 or more get the chance to speak to an AG Markets representative and personalize their initial deposit bonus. 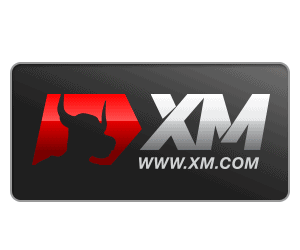 XM runs a two-tier program that rewards their account holders with 50% + 20% bonus on all their deposits. This is available to all their trading accounts safe for XM Ultra Low and XM Shares accounts. The maximum allowable bonus is nonetheless capped at $5,000 with deposits below $1,000 but above $5 (or equivalent) getting a 50% automatic bonus. Deposits above $1,000 get 50% bonus for the first $1,000 and an additional 20% bonus for anything else above this amount. The bonus is credited to the trader’s account and its profits freely withdrawn. Withdrawing the deposited funds, however, attracts a proportionate deduction of the bonus allocated. The percentage of deposit bonus reward by Forex Time (FXTM) brokers depends on your geographical region. For instance, FXTM clients hailing from South East Asia and the Greater China Region are eligible for a deposit bonus of up to 30% and a maximum amount of $100. 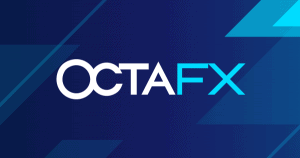 FXTM trading account clients in Africa will also get back 30% of their deposit amounts with the maximum amount allowed capped at $300. Traders in the Middle East who open and fund a trading account with FXTM will get back 10% of their deposit amounts and a maximum of $300. To qualify for the bonus, the trader must complete their trading account registration and verification and also fund their respective account with the minimum deposit within six months. 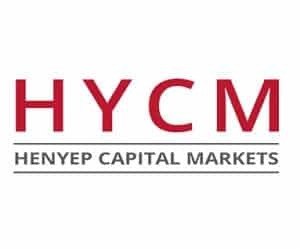 HYCM also incentivizes account registration by providing a 10% initial deposit bonus for all account type hosted on their platform. The minimum deposit needed to unlock the bonus is set at $ 100, with the maximum allowable bonus amounts capped at $5000. Profits derived from trading the bonus can be withdrawn freely, but the bonus amounts will only shift from the credit to the available balances section after the account has executed the required trade volume, currently set at 30 standard lots for every $1000 bonus, within 60 days of receiving it. Note that, this initial deposit bonus promotion is only availed to the HYCM Limited clients and not to HYCM UK or HYCM Europe clients. FP Markets rewards its traders with a 20% initial deposit bonus that is credited to their trading account. Qualifying for the bonus starts by completing the trader verification process and funding an account with an initial deposit of between $100 and $25,000. Note that, this is only available to traders maintaining the Standard, Raw MT4, and MT5 trading accounts. It also has a maximum allowable bonus amount set at $5000. While the amounts may be used to cover drawdowns, it will only be activated in the case of negative balance. Profits from the bonus amount can be withdrawn freely but you have to fulfill the required trading volume requirements to convert the bonus into cash. TickMill Forex Brokers are also giving back 10% of all deposits made into their live trading accounts by both new and existing clients. To qualify for the bonus, one must make a deposit of not less than USD/EUR/GPBP 200, with the maximum bonus per account capped at USD/EUR/GBP 1500. The biggest downside to TickMill’s bonus scheme is that it is not an automated service, and traders have to send an email within 14 days of making the deposit to requisition the bonus. Additionally, they must have at least 50% of the deposit amount in the account by the time of requesting the deposit. IC Markets gives their traders a chance to get back 10% and as much as $1,000 for every new deposit they make into their accounts. However, only deposits above $2,000 are eligible for the 10% deposit bonus. The amount is credited in the client’s trading account but may be converted into cash if the client executes the trade volume required by the broker. And while there is no time limit to fulfilling the trade volume execution, a trader must not withdraw the deposited amounts, lest the broker deducts up to 10% of the withdrawn amount from the credited bonus amount. More importantly, one trading account can only work with one bonus at any given time. Qualifying for another bonus, therefore, calls for the cancellation of the previous bonus. What are the pros and cons of Forex deposit bonuses? Ideally, the higher the deposit amount you request the larger the impact it has on your trades. For instance, some brokers will set a minimum or maximum lot size that you can execute as long as the deposit amount remains active. More importantly, the larger the advanced amounts, the higher the trading volume lots required to convert it into cash. To what extent can you use the deposit amounts or the profits accrued from its use? Can it be used to shield against negative balances? How easy is it to withdraw the profits derived from its trade or do you need to fund the account to activate it like in the case of no-deposit bonus? Pay attention to these details when reading through the terms and conditions a broker has attached to their bonus and only accept it if you consider them tolerable. If you accepted a 20% bonus on a $1000 deposit that requires a trade of 10x the deposit amounts to release $1 of the bonus to your account, you will have to execute trades worth $2,000,000 before the full bonus amount is converted into cash. This explains why a majority of traders taking up bonus offers never get to enjoy them. Plus the higher the bonus amount, the larger the trading lots and the longer it will take to execute them. Take this into account and only take it if you consider the trade volume and the time given to be reasonable. Should you accept Forex bonus? Deposits bonus play a key role in helping advance your profitability. While all these forex brokers treat the bonus as a credit advance, they don’t restrict the use of any profits derived from its use. Most will also give you a chance to win and claim it as cash as long as you fulfill their set conditions that revolve around limiting the withdrawal of your deposit, as well as, executing enough trades. You, however, have to be careful when interacting with the free deposit bonus. Take time to vet a forex broker, paying attention to how they disburse and handle credited bonuses. Consider brokers with flexible deposit bonuses that cover drawdowns and allow for the unconditional use of profits accrued from their trading the bonus. Avoid the rest whose credited amounts won’t cover drawdowns. Forex no-deposit bonus: This refers to the deposit awarded to a trader for every account opened with the forex broker. It is credited to the trader’s account and is not withdrawable until a set of terms are fulfilled. These are perfect for testing the effectiveness and transparency of the forex broker. Forex welcome bonus: This is advanced to new traders who open an account with a broker, regardless of whether they make the first deposit or not. It may, therefore, double up as a no-deposit or initial deposit bonus. The difference between the two is that while most brokers offer a no-deposit bonus to multiple accounts by the same client, most will only advance the welcome bonus to a client once regardless of the number of accounts opened. Cashback (rebate) bonus: This works like the recurrent deposit bonus with the only exception that the rebate bonuses are offered in terms of specific amount and not as a percentage of the deposit. For instance, a broker may award $100 for every deposit a client makes above $1000. Personalized/VIP bonus: This is a specialized type of bonus advanced to a selected group of clients. In most cases, VIP bonus is advanced to high volume traders operating special types of accounts and their terms are also more favorable. Loyalty bonus: Loyalty bonus is set aside by forex brokers for their distinguished existing clients. In most cases, the broker establishes a loyalty program that rewards traders with points for every trade or lot executed. Traders are then promised a cash bonus upon hitting a particular milestone. What are the different types of deposit bonuses currently available? Ideally, there are two types of deposit bonuses; the initial deposit bonus – given out once in the life of the account, and the recurrent deposit bonus that is given out every time a trader makes a deposit. Some Forex brokers specialize in initial deposits while others concentrate on the recurrent deposits. A majority of Forex brokerage firms haven’t automated the deposit bonus issuance process. And while some only require that you consent to their terms and conditions and request for the bonus when making the deposit, others demand that you apply for the bonus through their official communication channels like email. How long does it take to get the deposit bonus? Processing deposit bonuses is at the discretion of the forex broker. While most will process these deposits automatically upon receiving your requisition, some may take up to two days as they ‘verify‘ your identity and the payment. How do I qualify for a deposit bonus? The first step to qualifying for a deposit is identifying a forex brokerage firm that offers your preferred bonus, be it the initial deposit bonus, recurrent bonus or both. You also need to register an account and complete the verification process. More importantly, confirm their minimum deposit balance, to up your account accordingly, and fill the bonus application form. How do I find the best forex bonus? With the number of forex brokers offering long-term and promotional bonuses increasing every day, finding the best forex deposit bonus may prove tricky. The internet is, however, full of reviews both from independent industry operatives, as well as, verified traders that have interacted with the trader and their bonus. Check them out. Alternatively, you can consider isolating a few of the reputable forex brokers listed herein, and vet them individually with minimal deposits. What factors should I consider before accepting/requesting forex bonus? A forex deposit bonus is only as good as the trader issuing it. Therefore, apart from the lure of 100%+ bonus on deposit, consider the forex broker’s reputation. Even more importantly, go through the fine print of the terms and conditions attached to the bonus. Pay particular attention to the time limit for executing the trade volume, as well as, the flexibility of the bonus and profits derived from its use. How do I trade the forex deposit bonus? The Forex deposit bonus, though posted on the credit section of the account, can be traded like any other deposit or account balance. This implies that just as it can be used to scalp profits from the market, it can also be quickly lost to drawdowns. Is the forex bonus internally transferable? Forex bonus can only be used within the trading account in which it was earned. Most brokers, therefore, won’t allow for its transfer by a trader from one account to another even if both accounts are hosted on their platform. Transfers are in such a case treated like withdrawals. I have lost the bonus in the course of trading, what next? Just as a broker won’t take a portion of the profits accumulated from trading the deposit bonus, they won’t claim bonuses lost in the course of trading from you. Most have, however, attached several risk management measures to how a trader interacts with the bonus amounts. Minimizing the tradable lot size features prominently on the list of preventative measures implemented by the broker. Can I withdraw profit earned from a no-deposit bonus? No-deposit bonuses often attract an extra set of conditions that a trader must fulfill if they hope to convert them to cash or use the profit accrued from their use. For instance, most brokers will not allow you to withdraw profits derived from trading a no-deposit bonus without funding the account with the required minimum deposit first. 3 What are the pros and cons of Forex deposit bonuses? 5 Should you accept Forex bonus?